Joey Evans’s first night with the band finds him already complicating his romantic life, balancing his attraction to the demure singer Linda English (Kim Novak) with the vivacious ex-stripper Vera Prentice-Simpson (Rita Hayworth) when the band is hired to play a gig at Vera’s place as a fundraise for the local children’s hospital. Happy holidays, BAMF Style readers! I hope all who celebrate are having a very merry Christmas whether you’re spending it with loved ones or beloved movies. 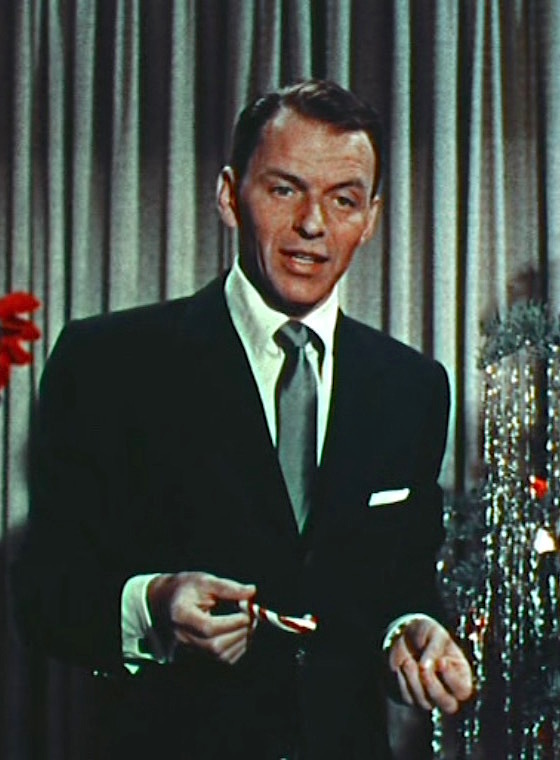 Frank Sinatra trims the tree during the opening of “Happy Holidays with Bing & Frank,” the 1957 Christmas special episode of The Frank Sinatra Show. 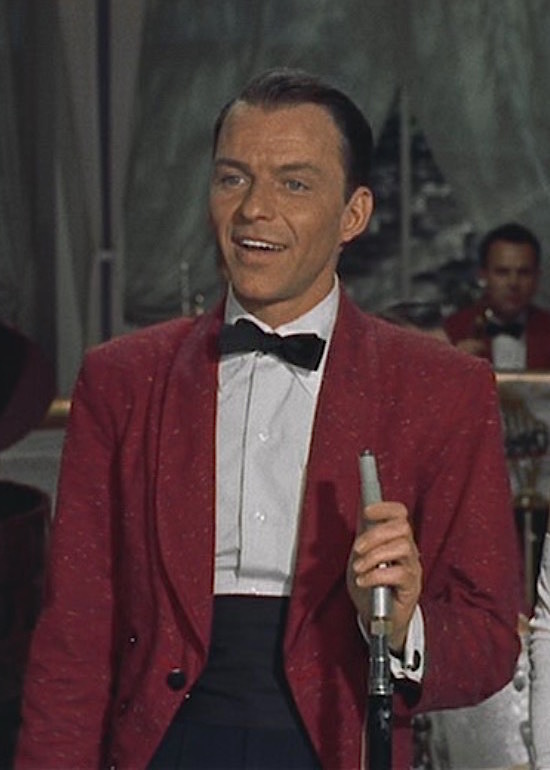 Happy birthday, Frank Sinatra! 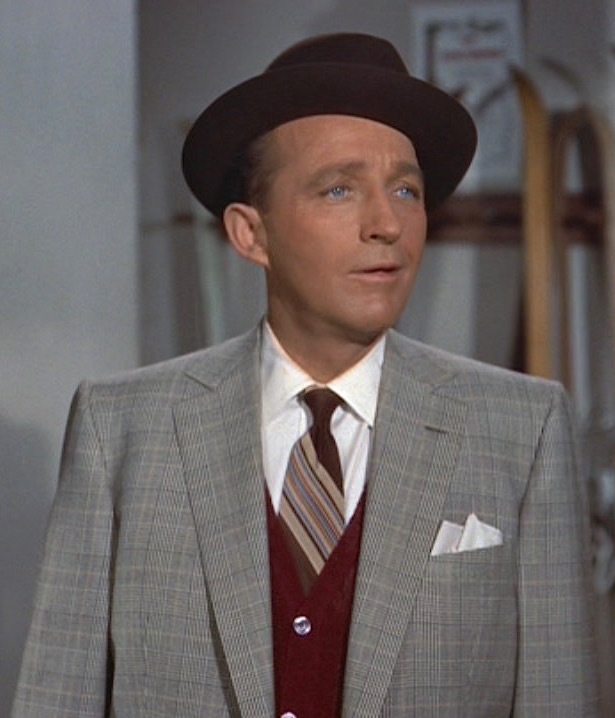 To celebrate the 103rd anniversary of Ol’ Blue Eyes entering the world in a Hoboken tenement, let’s look back at a time when Frankie was sittin’ on top of the world: the late 1950s. 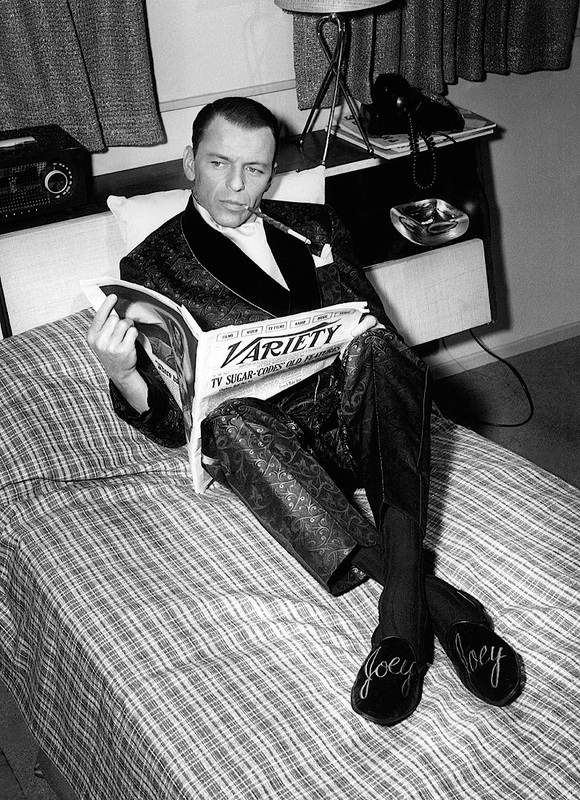 After the low point of his life and the prospect of his career in ruins, Sinatra bounced back with an Academy Award-winning performance in From Here to Eternity (1953) and a seven-year recording contract with Capitol Records that yielded an impressive string of concept albums that remain among the best popular music ever recorded. 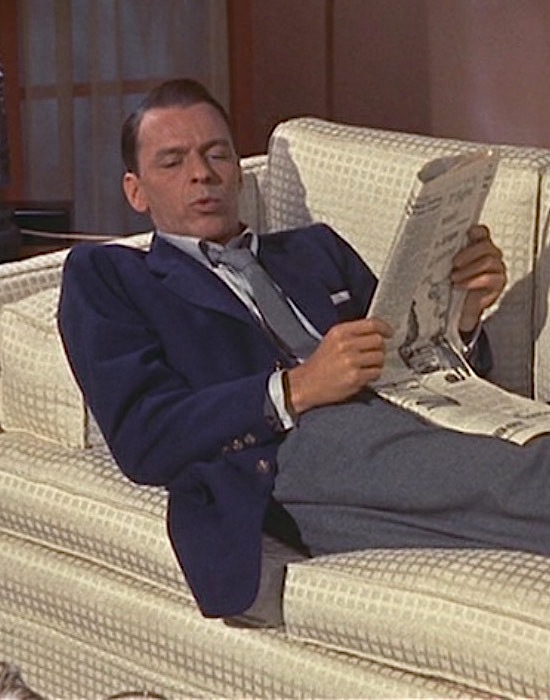 Sinatra was one of the biggest stars of the world in 1957 when ABC signed him to a $3 million contract for The Frank Sinatra Show, a variety and drama series for which Sinatra would have almost total artistic freedom. The same year that Pal Joey was released, Frank Sinatra released A Swingin’ Affair!, his latest concept album from Capitol Records. 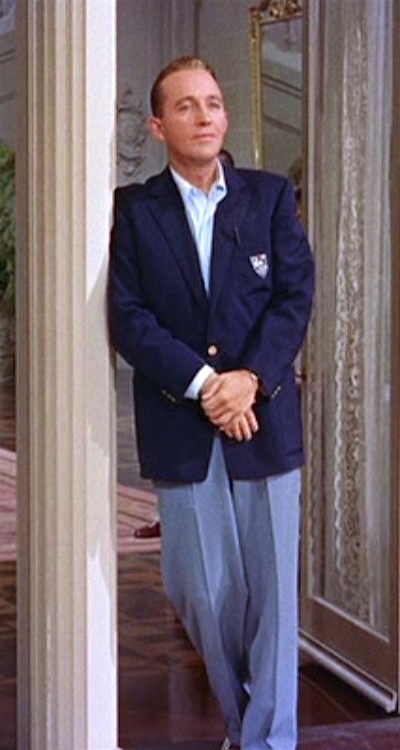 The fourth track, “I Guess I’ll Have to Change My Plan”, was written by Arthur Schwartz and Howard Dietz in 1929, when it was introduced by Clifton Webb in the songwriting duo’s revue The Little Show. Let’s ease into #SinatraSaturday with a return to Pal Joey, the story of an ambitious nightclub performer played by Ol’ Blue Eyes himself who finds himself in a love triangle with an ingenue chorus girl (Kim Novak) and a wealthy widowed former stripper (Rita Hayworth), all set to more than a dozen classic Rodgers and Hart tunes. 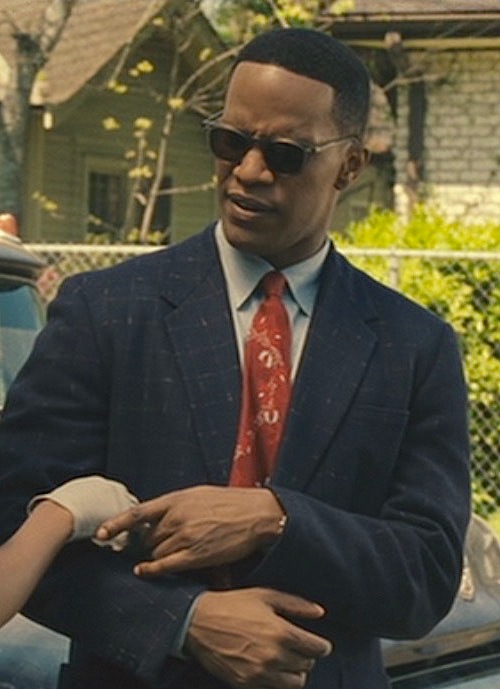 Jamie Foxx became only the second actor in history to receive a Academy Award for Best Actor, BAFTA, Critics’ Choice award, Golden Globe, and Screen Actors Guild award for a single performance when he played Ray Charles. Though it was released five months after the real Ray Charles died of liver disease at age 73, Ray had the blessing of the real Ray Charles who had received – and approved – a braille version of the original shooting script.